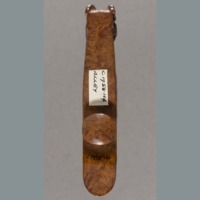 One serpentine red-brown wood daigou. 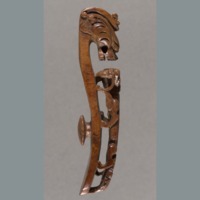 Upper part of obverse presents carved head of a dragon. 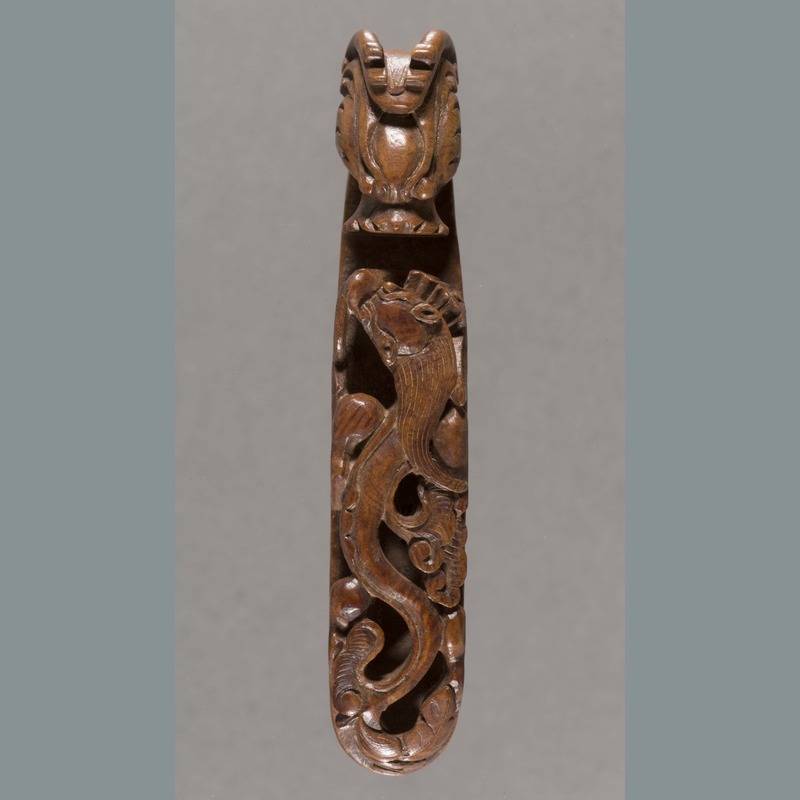 Obverse body presents serpentine relief carving of a dragon. 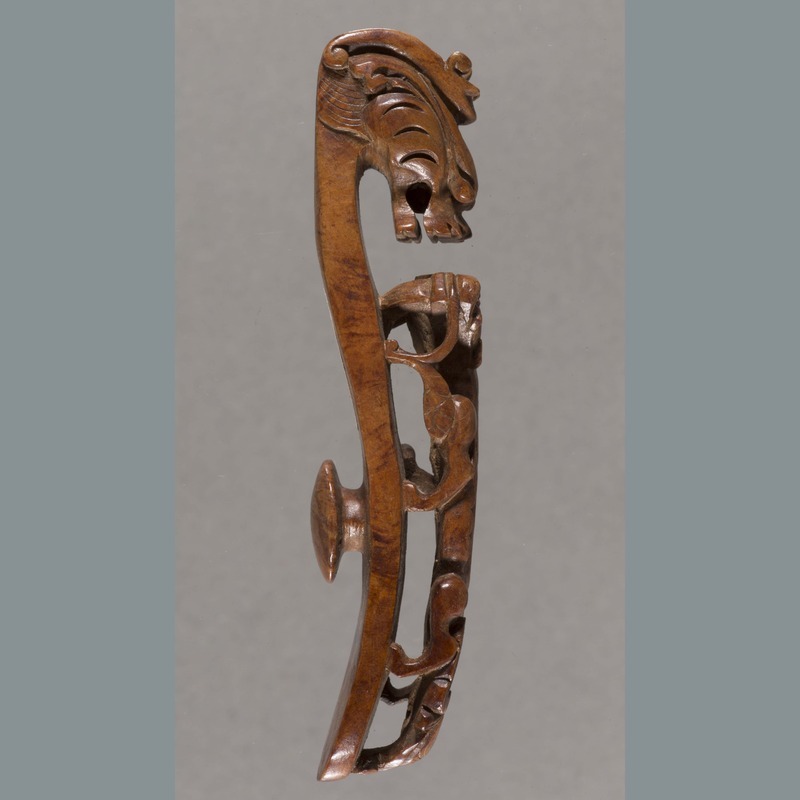 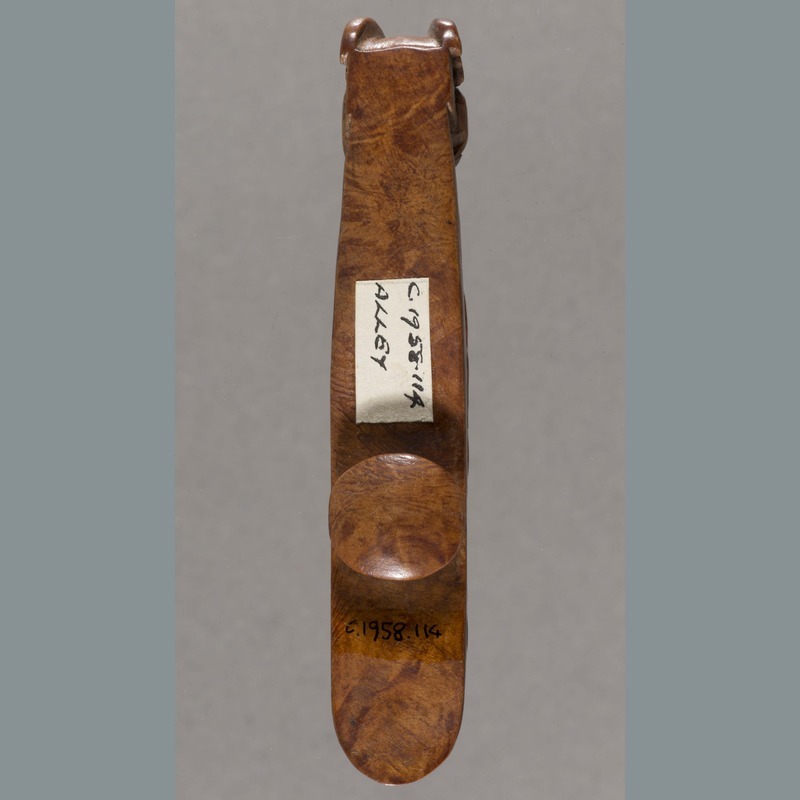 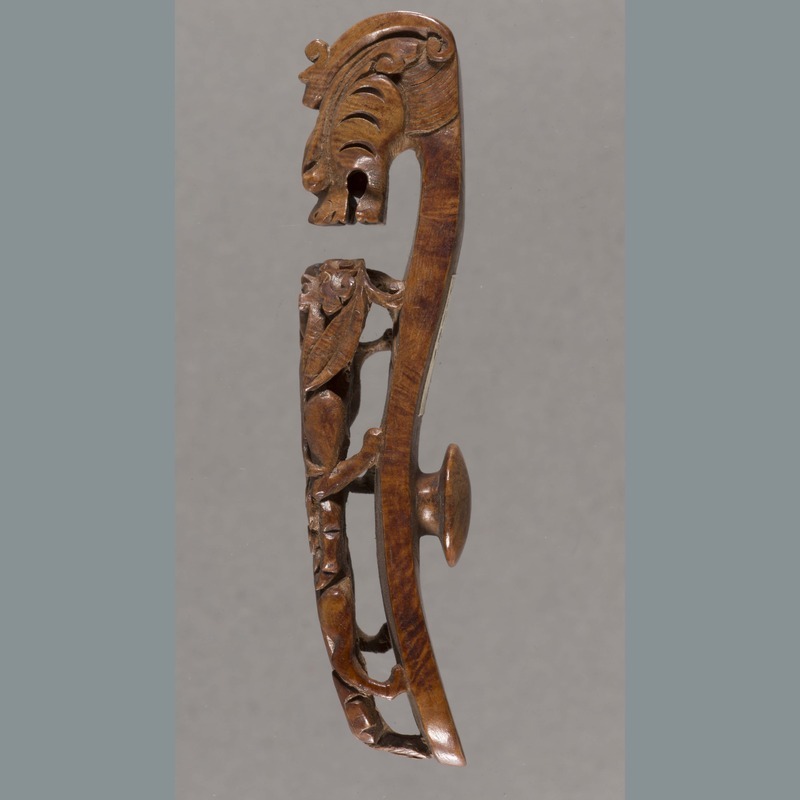 “Wood: daigou,” China, Art and Cultural Diplomacy, accessed April 22, 2019, http://rewialleyart.nz/items/show/1142.